The unique 25cm 'Shooting Star' award is made out of perfectly clear optical crystal and mounted on a black optic crystal circular base. 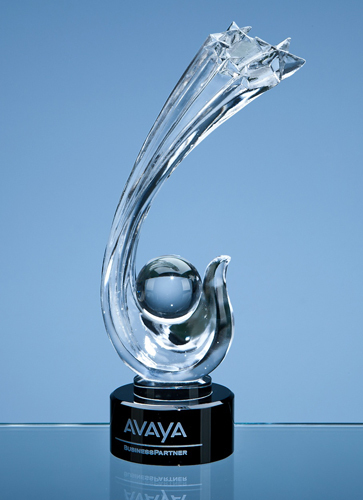 The cluster of shooting stars curve around an optical crystal ball to create a truly magnificent award. The base can be engraved with any crest, logo or wording to create a gift that is sure to take pride of place when put on display at home or at work.